We offer a variety of services to help you achieve and maintain the perfect look! Are you looking for a new look? 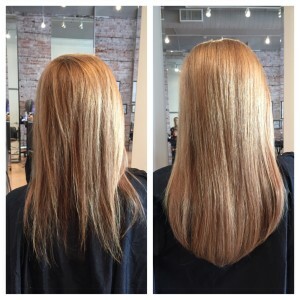 Just let us know what you would like to achieve and our Master Colorist will blend and create the PERFECT look for you! We specialize in providing our clients with the finest quality strands in the industry. Our Master Stylist is able to seamlessly blend long luxurious locs with your existing hair resulting in INSTANT Volume and a Glamorous new Style. We take the time to find out what it is your trying to accomplish with your new style. Are you looking to update your look to something entirely new or just trying to refresh your current style? Our goal is to have you feeling FABULOUS when we're done! Our hair is easy to maintain, long-lasting and safe. We use only One Hundred Percent pure Remy Human Hair and each weft contains thick, silky strands you will be sure to love. 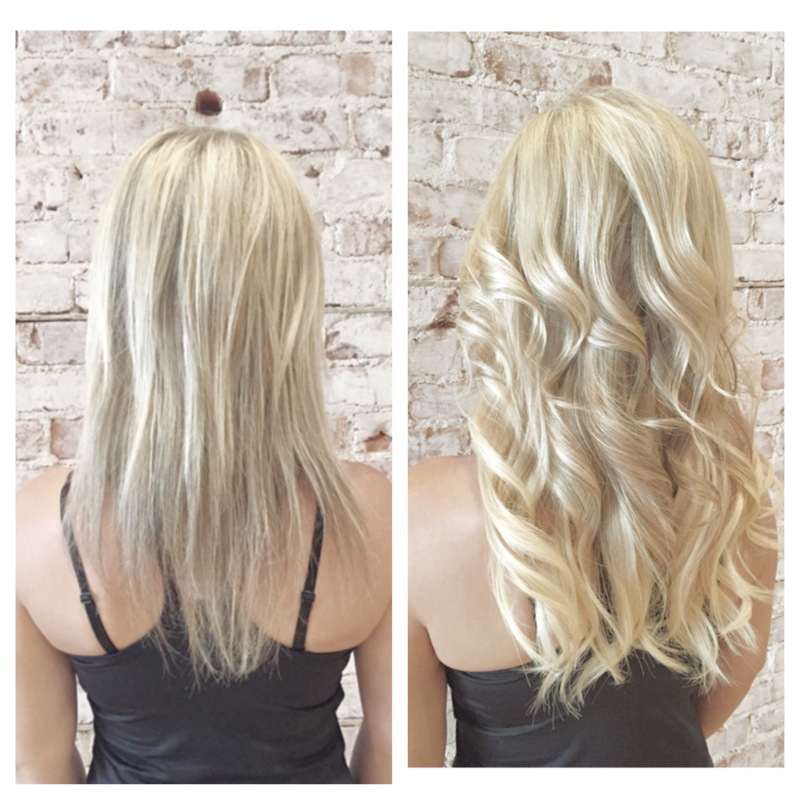 Adding volume is the key for giving you the beautiful transformation you desire. Tape-in's are one of the latest salon trends because they look natural and feel amazing! They are also semi-permanent and reusable, which means they last much longer than other application methods. They are also light weight, you are able to achieve the volume you want without feeling weighed down. Our process is also nearly invisible and blends seamlessly into your current style for a natural look. If you have been looking for extensions that do not damage your hair then our tape-method is perfect for you! Your locs will remain healthy even after being removed. The process is easy and does not require harsh chemicals, damaging adhesives or dangerous heat. Our strands last from 9 months to a year at a time, proving to be a sound investment in your beauty. Remy Hair can also be washed and blow dried without needing them to be removed first! This is convenient and speaks volumes of its long-lasting nature. When wet, curls are activated, giving your style a silky body-waved effect. This is great for those who love to switch up their look regularly and do not want to have to remove or change them. You can also create different textures of curls and waves by using regular curl intensifying products after application. Another great advantage of our hair is the huge difference from more traditional methods such as sew-in, paste in and even clip in's. The look and feel of our products are almost invisible because the tape in's flow naturally. This means your loved ones can run their hands over your head without feeling thick tracks and bumps that are customary of sew-ins and clip ins. In addition, they certainly would not be able to see any bumps or distortions in your hair, only smooth silky (and natural looking) strands! Allure Magazine has said, "tape in extensions are the best of all other options." Their reasoning behind it is that it does not look fake when done by a trained professional. They are easy to care for and the application process is a breeze. Our beautiful locs are even secure enough to swim with and you will not have that bulging effect that regular sew-ins leave when your head is wet. You will Love your Beautiful New Look! We use the finest products the industry has to offer and the most modern technique when it comes to application. Stephanie Grace takes a genuine interest in each of her clients. She is an amazing stylist and qualified to give you that glamour look you crave. Take a look at our amazing before and after client photos! Contact Stephanie Grace today for a Free Consultation!